Marco Marchegiani has a broad expertise in the aviation, corporate and antitrust fields. He assists clients on litigation, arbitration and dispute resolution, with a main focus on aviation and corporate law. He gained an extensive experience in protecting the interests of both Italian and international airlines in all aspects related to marketing and client relationships, including those with airport managers and suppliers of on ground services. He provides assistance and representation before the Italian Competition Authority in relation to any investigation proceedings on commercial practices. Mr. Marchegiani also advises on commercial and distribution agreements, mainly in the pharmaceutical and food distribution markets, assisting the clients in any relationship with suppliers and customers. 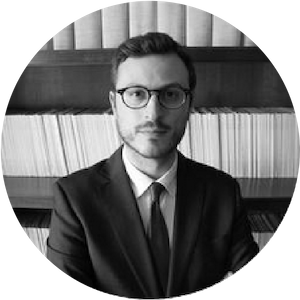 He contributes to international publications on aviation law and is a regular attendee at aviation conferences, both in Italy and abroad.